I want to take this time to formally introduce myself and tell you a little bit about myself. I know many marketers don’t do this as often as they should, but I think it is important..because to me, it’s all about building good business relationships. 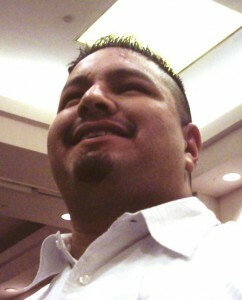 My name is Frank Salinas and I live just outside of Houston in Katy, TX. I lived in the Chicago area with my wife and kids for over 7 years. I’m originally from Houston, TX and grew up in a small town just south of it called Alvin. I’ve been at home full-time since September 2007. I’ve been in the home-based business industry since 2005 when I first was exposed to MLM. I joined a company called AmeriPlan and made it to the 3rd level of management. I then got out and joined a few other business opportunities but didn’t do too well in them. They turned out being more work then I expected and that is when I started learning about affiliate marketing and internet marketing in late 2006. I used to work 10-12hrs/day and then come home and work on my business 3-4hrs a night.. I didn’t know anything about marketing, list-building, what an affiliate program was, I didn’t even know how to setup a PayPal button on a website.. About the only thing I knew how to do by the time I got out of MLM was how to setup a basic website with a picture and text using Frontpage. I’ve finally made it to where I can provide for my wife and our 3 sons (and now our niece and two nephews) and not worry about money like I did before when I was working in shipping and receiving. If you work daily on your business…learn, take action, learn, take action… the hard work does pay off. Never give up. I owe my success to learning every day, not giving up, consistent daily activity, taking risks and most of all…faith. Never give up on your dreams.. and when you make your goal.. set a new one and keep going higher.